Apps that distort and enhance (some both, oddly) your face are aplenty, and it’s safe to say that we would have had fun with them at some point in the past. AgingBooth, an app that been around for a few years now, is one that I’ve heard of, and seen photos of plastered on my Facebook feed. Aimed to give an insight on how one will look when they’re older, the results usually see deep-set wrinkles and sagging jawlines added to a current photo of the user. The good thing is that the results aren’t absolutely ridiculous, and while it’s impossible to confirm that the results are what we’ll look like 30, 40 years down the road, it still makes for good fun. At our office, we’re always raring to try out interesting apps and services. So, we decided take a peek into the future, and tested it out ourselves! …but they definitely generated a lot of laughter in the office. Ranging from too exaggerated to actually plausible, comments on the photos ranged from amused to pensive, and many were left wondering if this is the face they’d be seeing in the mirror down the road. 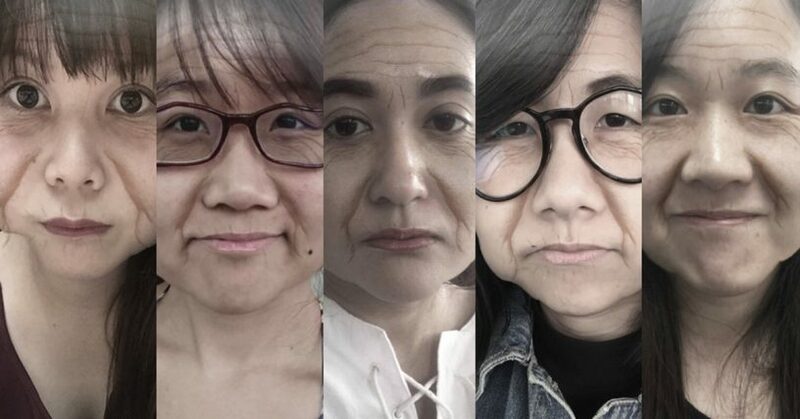 With most of us in our mid to late 20s, the concept of ageing can sometimes seem far away, but there’s no need for the simulation from this app to know that our skin, hair and bodies would not be as young and healthy as before. With most of us also spending most of our waking hours in the office, and the stress that comes with it, a stringent skincare routine and regular exercise can be challenging (albeit not impossible). To add on, factors like a sedentary lifestyle, bad posture, the glare from the screen and ceiling lights, as well as the drying effect of the air conditioning aren’t your friends when it comes to looking youthful. It’s common knowledge that people in manual labour, and those constantly out in the sun are more prone to ageing prematurely. Dirty air and relentless sunshine plague their days, giving rise to sunspots, dry skin, and clogged pores. But did you know that working in a cushy office isn’t that great a deal either? Here are 2 of the main ways that office life ages you. First of all, one of the most obvious factors – stress and exhaustion. As we all know, the frowning and poring over our screens can induce the formation of wrinkles, but did you know that our workload can also affect our DNA negatively? During a study, researchers measured the length of the DNA sections called telomeres, and found that those under the most stress had the shortest telomeres. How is this significant? Well, when these sections become too short, they can die, and this shortening has been linked to Parkinson’s, type 2 diabetes, cardiovascular disease and cancer. Another study also suggests that even the anticipation of stress can bring about negative effects. Researchers found that those who felt most affected by the anticipation of stress “exhibited greater signs of aging on the cellular level”. And not to mention, having a heavy workload also usually leads to less downtime to pamper ourselves. This leads to sloppy (or no) skincare, no time for proper sleep or exercise (which protects the aging brain) – all of which are detrimental to our health AND appearance. Yes – while being under the blazing hot sun exposes you to UV Rays, you’re no safer under the fluorescent lights of your office. Most lights are relatively harmless but there are some which, according to a study by the European Commission, emit blue light and ultraviolet radiation. In the long run, this could lead to stress (see point above again), fatigue, high blood pressure, and other health issues. Another study by Stony Brook University also found that compact fluorescent lights, aka energy-saving lights, also have the potential to damage skin cells and make you look older than you are. While stumbling across a fountain of youth is clearly an impossible feat, there are definitely steps you can take to make your age actually look good on you. For those with the luxury of time, investing in good skincare and maybe even a gym membership can help alleviate some effects, but what about problems like a sagging neckline, ageing skin, or deep set wrinkles? This is where award-winning aesthetic clinic Amaris B. Clinic intends to come in so that you can feel confident with your age again. 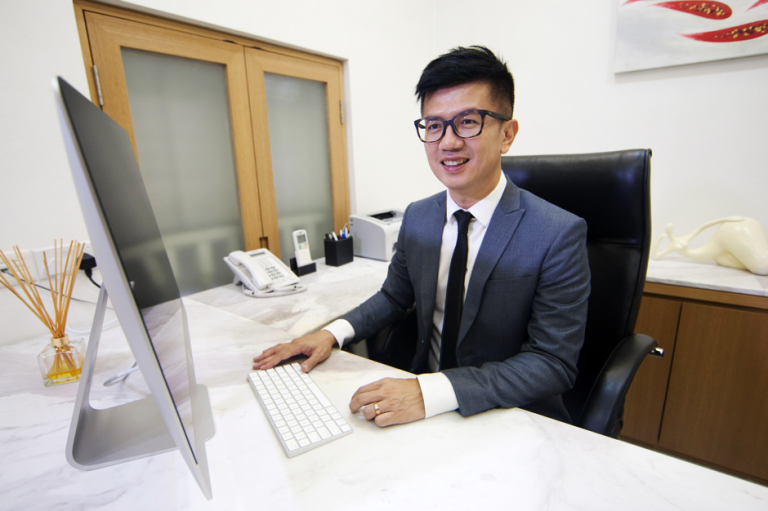 Spearheaded by Dr. Ivan Puah, who’s not just the Medical Director, but also an official trainer to other doctors for Allergan Singapore – the distributor of BOTOX® – the clinic has been satisfying the aesthetics-driven desires of ladies and men in Singapore with their various treatments since 2004. Providing a wide range of treatments ranging from facelifts, to even a weight management programme for those struggling with weight issues, customers are assured the best in aesthetic treatments. In the fight against the ravages of time, customers can get to choose from a variety of procedures to smoothen wrinkles and rejuvenate their skin’s health again. The best part? The treatments are quick and non-invasive, meaning that even if you’re squeamish about needles, you can be assured that the process will be swift and effective. For those who simply want to pamper themselves and give their skin a new lease of life, there’s the Medical Grade Skin Peel Treatment, which aims to reduce dead skin and improve your skin’s clarity. For those seeking to look younger, the dermabrasion process also helps to reduce wrinkle and fine lines as well. But your face is simply one aspect that will change as you age – your neck and kneecaps are also places that will start losing their fight to gravity as time passes. For this, Amaris B. Clinic also provides non-invasive neck and knee lifts, both of which utilise the latest FDA-approved ultrasound technology to reintegrate new collagen, which eventually tightens and lifts the skin in those areas. Ageing is unavoidable, but looking haggard isn’t – so the best time to start preserving your youth is now!